Dragan Field’s versatile 18-hole disc golf course has been challenging and entertaining players of all ages and skill-levels year-round for nearly 20 years. We play all year, weather or not. Dragan Field is also the home of the longest running PDGA-sanctioned disc golf tournament in Maine, the Dragan Disc Golf Classic. Players from across the country travel to Auburn to participate and play our championship-caliber course every June. In addition to the DDGC, Dragan Field hosts a number of tournaments throughout the year, with varying formats and aims. No matter your experience or skill, there’s sure to be a tournament for you if you want to compete. 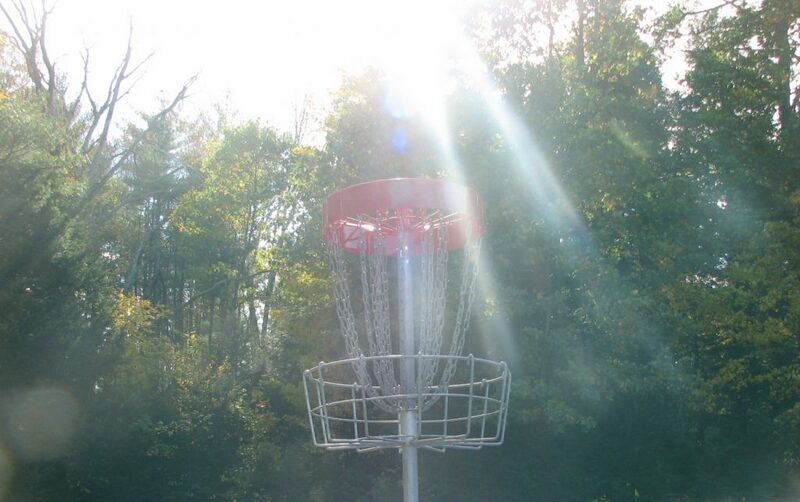 Our knowledgeable and professional staff provides one of the most comprehensive disc golf experiences in the industry. We are happy to offer clinics, one-on-one and group lessons on both the basics and the finer points of disc golf.